If you hate the tedious task of ironing, but still like a properly pressed shirt or pants, then consider getting the Conair Turbo Extreme Steam Handheld Fabric Steamer. 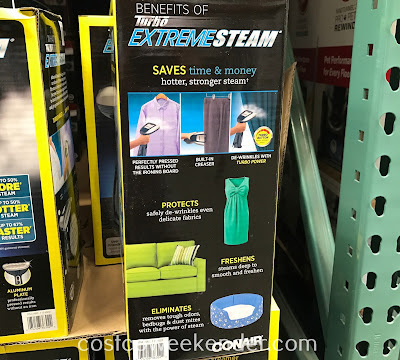 It will help make your clothes looking wrinkle free without the hassle of using an iron. 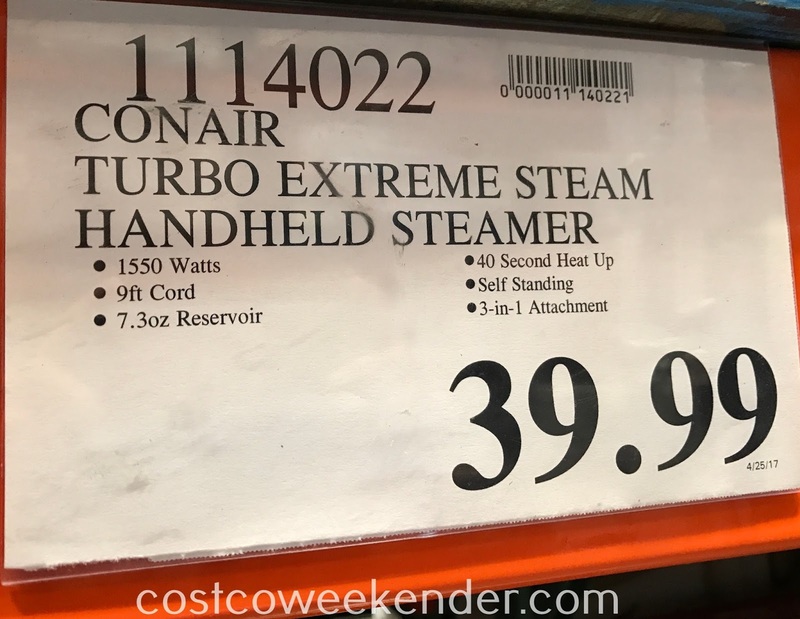 The Conair Turbo Extreme Steam Handheld Fabric Steamer will save you time and money, but it isn't limited to clothes. You can use it on linens and tablecloths as well. You won't regret getting the Conair Turbo Extreme Steam Handheld Fabric Steamer when your clothes look like it was ironed and there's not a wrinkle in sight.